The cutting edge scope of IoT i.e. Internet of Things technology is here to stay in the long run and needless to say, it will improve the quality of human life beyond our imagination. Internet of Things is a way of ensuring that all devices and living beings around us have better and enhanced connectivity with each other. How many times have we wanted all devices around us to be connected with each other or to charge our smart phones wirelessly simply to avoid the pain of getting up to pick up the charger? Well, IoT technology will surely make human life convenient and it is no less than a god- sent gift for all lazy people out there!! A single method of handling gadgets is the main idea behind creating devices which are powered with the much anticipated Internet of Things technology. 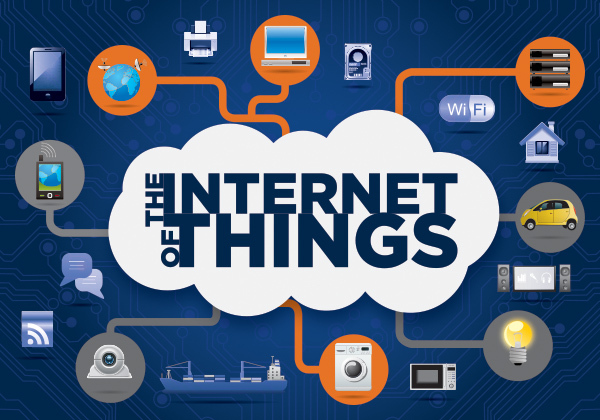 Looking at the relevance of the IoT technology in the coming times, there are several companies which have started doing their bit in order to compete as well as excel with the ongoing products of IoT technology. So without wasting much time, let us take a look at the top 10 Internet of Things Wearable Tech Companies. Speak of technology and this Cupertino- based company is probably the very first name that comes to your mind. Apple has always maintained its position of being the number one smart phone as well as gadget manufacturing company in the market and with the launch of its very first wearable gadget, the Apple Watch, this company is certainly up and running in the race of becoming a prominent producer of gadgets laced with the Internet of Things technology as well. Going hand in hand with the technology of IoT, this next generation watch from Apple works in synchronization with all iOS devices. Google not only maintains the reputation of being world’s best search engine; rather this multi- billion company is now creating strides in the field of technology and gadgets as well. Google Glass is the most common example of Internet of Things wearable gadget from Google. Blended with technology and high- end features, there is no doubt in the fact that Google Glass should be the next smart wearable gadget you decide to invest in. It is no surprise that a company known for manufacturing world- class computer chips will be left behind in the race of wearable gadgets powered by Internet of Things technology. This ace chip- maker company has already started putting its time and money into IoT powered wearable gadgets, such as gloves among various other computerized merchandise. Here’s an IoT powered wearable shirt which will track your heart rate, intensity of workout as well as energy output in order to enhance the performance of all athletes. The Ralph Lauren Polo Tech Shirt is undoubtedly one of the best examples of IoT wearable gadgets and it is definitely a stepping stone for Ralph Lauren to have come up with this next- generation IoT product. How many times have you forgot about the time of repair and maintenance of your car? Well, with the help of Tesla Autopilot, there is no way you will forget about these crucial schedules in the future. Tesla has come up with a digital gadget for your car which is laced with IoT technology. We all are aware of the BBM era which came as a boon for all smart phone users and still is the reason why people confide to messaging on their hand held devices. Hence, when something as cool as IoT powered wearable gadgets is being discussed, how can Blackberry be left behind? Recently this smart phone manufacturer announced its entry into the field of wearable smart watches and the world has already set its eyes on this yet to be launched product of IoT from Blackberry. A New York- based health company has taken on the responsibility of creating wireless pill bottles which will help patients in keeping a track of their health, prescribed dosage as well as upcoming appointments. This creation will certainly help all patients in cutting down the possibilities of mishaps. Chui is a security company which stresses on combining facial recognition feature which the help of advance computing in order to turn your face into a UNIVERSAL KEY. This is a safer way of ensuring the safety of your home and business without the need of spending big bucks on security systems. Heapsylon is undoubtedly a prominent name in this list and this company has been creating IoT inspired wearable gadgets which by far come across as very helpful to the human race. For instance, Sensoria socks from Heapsylon is a great wearable product for runners which tracks their steps, calories burnt, speed, etc. This California- based company emphasis on less wastage of electricity, especially for the purpose of lighting. The creation of “People Smart Sensors” by Enlightened helps in analysing the weather condition and environmental lighting in real time to adjust the lighting inside any building automatically. Definitely a practical use of power and energy!! IoT inspired wearable gadgets have always created buzz in the global market and with so many top- notch companies having shifted their focus towards it, we are surely going to witness more and more Internet of Things wearable gadgets in the future!